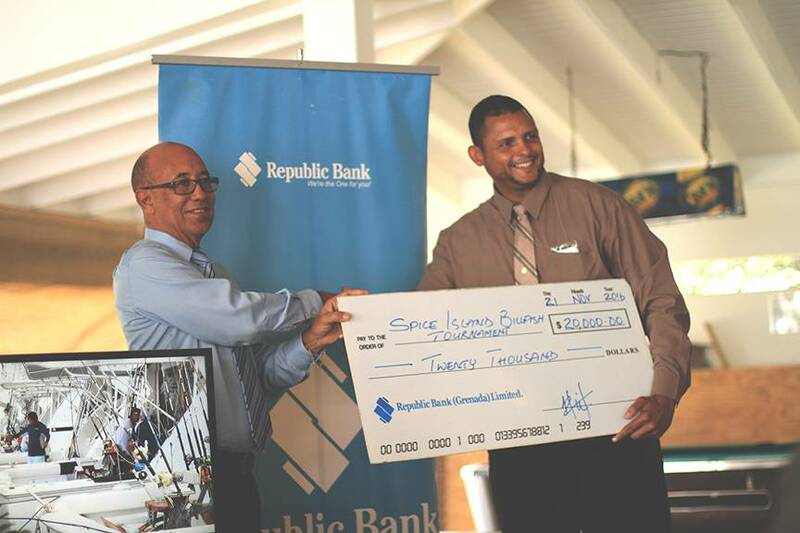 For the 4th consecutive year, Republic Bank is pleased to provide financial support for the successful staging of the annual Budget Marine Spice Island Billfish Tournament, which is scheduled to run from 21 to 25 January 2017, at the Grenada Yacht Club, Lagoon Road, St George’s. At the launch, Mr Clifford Bailey, General Manager – Operations, presented the sponsorship cheque of $20,000 to Mr Richard McIntyre, the Chairman of the Spice Island Billfish Tournament committee. This much-anticipated event will attract approximately 50 boats with anglers originating from Venezuela in the South, to the UK and Canada in the North, and will be streamed live via Facebook and other sites to capture a larger audience. On an annual basis, this tournament is estimated to generate $2,000,000 in economic activity in Grenada, in terms of fuel for the 50 boats for several days of fishing, food for an average of 5 persons per boat, hotel rooms for anglers and their families flying in to join the boat here, and for the Sport Fishing Sector in terms of purchasing of fishing gears and accessories, among other things. We look forward to an exciting and economically beneficial Billfish tournament 2017, believed to be the biggest and best in the Southern Caribbean.